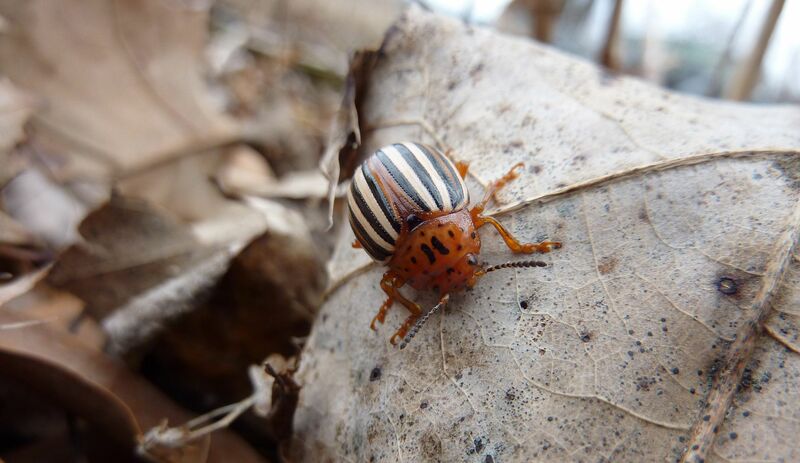 The False Potato Beetle, Leptinotarsa juncta, apparently overwinters as an adult, hiding among the leaf litter. 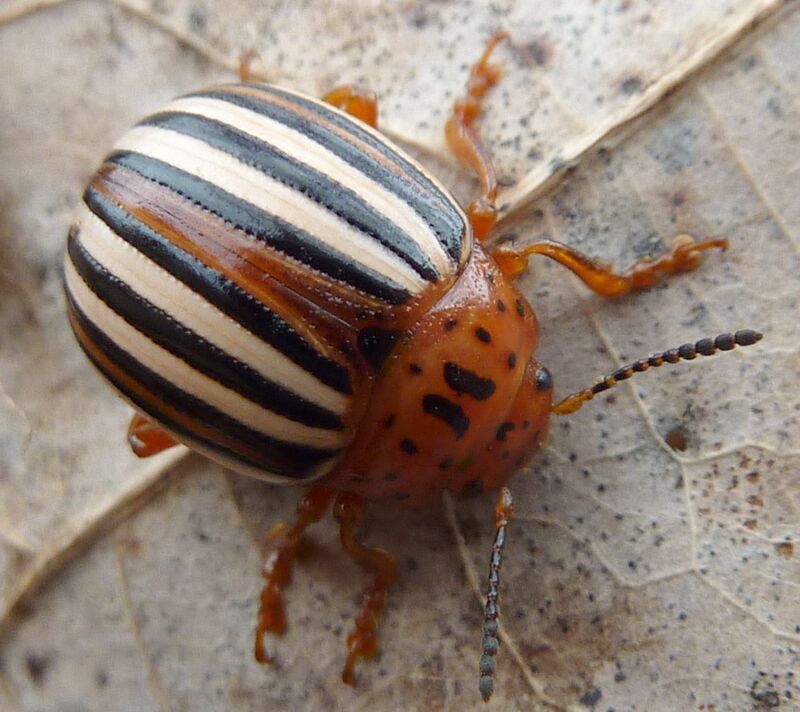 Note the chestnut-brown stripe down its back which is not found on the Colorado Potato Beetle. 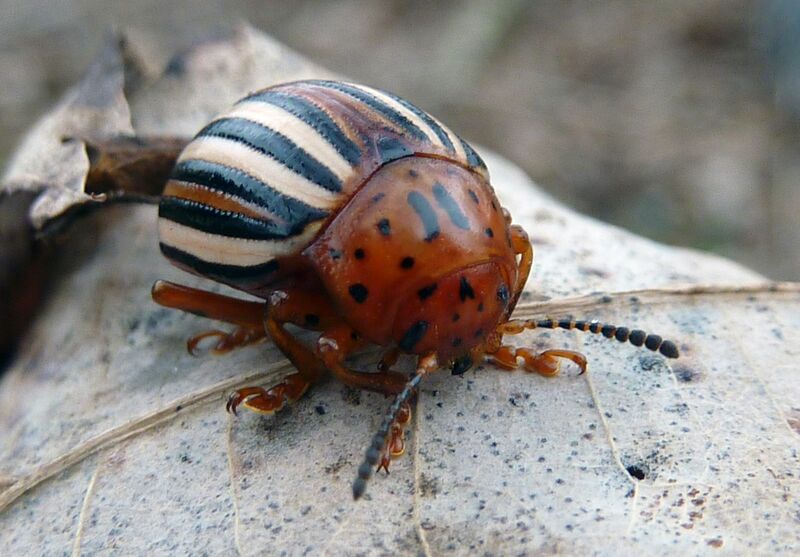 The larva to this species is also white, whereas the Colorado Potato Beetle is brown or rosy colored. Host plants include Horse-Nettle which has mysteriously become a lawn weed with one of my neighbors. The flower to this plant is exactly like you see on a potato plant, but they only grow a foot or two long and are covered in some nasty thorns, that actually run along the central vane of the leaves too. 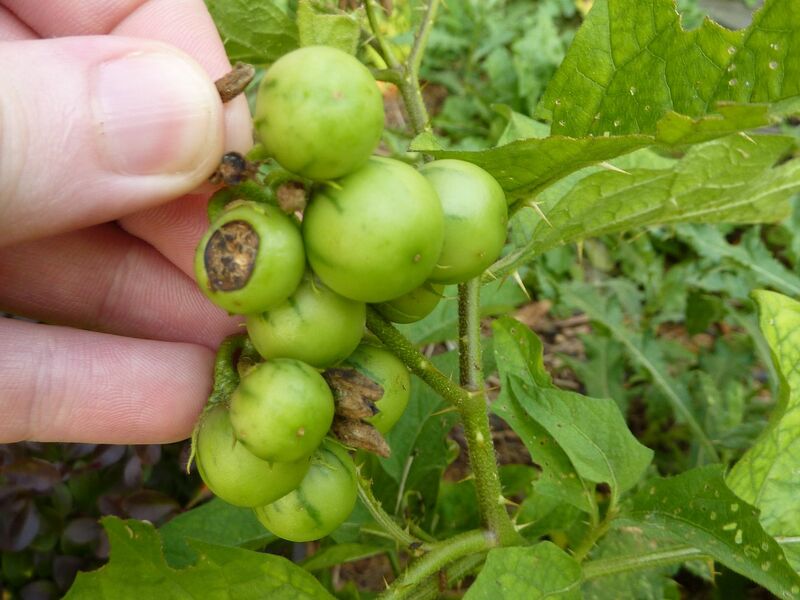 This plant is a relative of the Tomato and even produces small cherry tomato-like fruits. I don't believe they're edible to humans, and in facts are probably poisonous! I have no idea what caused this plant to suddenly show up in my neighborhood! I've lived here all my childhood, and only noticed how abundant it was in my neighbor's lawn in the past two years. Presumably he treated his lawn with grass seed that was contaminated with those of Horse-Nettle. They also use Nightshade which does occur along our fence but isn't all that common. whats that plant called? and where are you from? 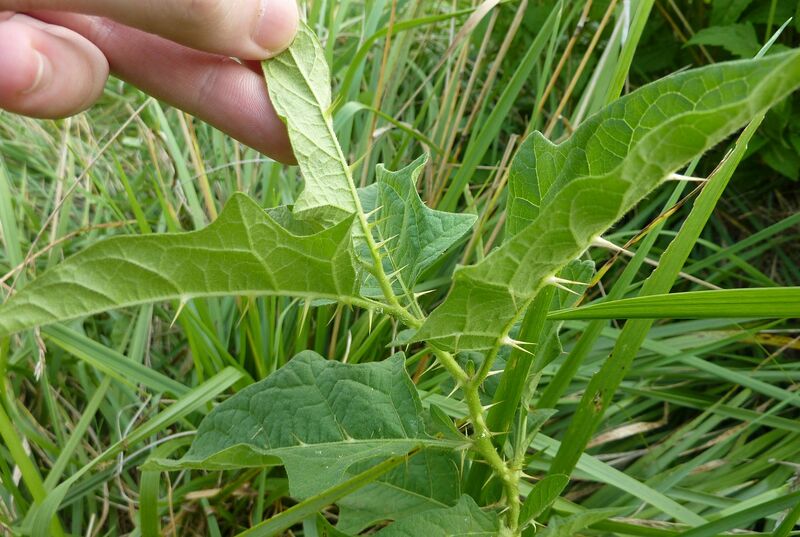 i have them in my back yard and i am doing a weed prject for my boilogy class and ive never seen this before and i cant find the name or info anywhere!!!!! please help!!!!! ps im from ohio in the country. i have alot of it in my yard.